While programs providing for low-cost vaccines for children are common, low-cost vaccine programs for adults are harder to find. To get the vaccine you need at the lowest possible price, you’re going to have to put some legwork into the search. Here’s what you need to know about getting low-cost vaccines for adults in the United States. It's not always the case that lowest price for adult vaccines can be found in public or community health clinics. Invest half an hour of time calling vaccination centers in your area to get price quotes. Before you call, know which vaccines you need so that you can ask for a price quote on each of those vaccines. You can look up which vaccines are recommended for adults on the Center for Disease Control’s adult immunization schedules page. While comparison shopping, be sure to ask what costs to expect in addition to the cost of the vaccine. Some vaccination centers charge an all-inclusive price for each vaccination. Others have a charge for the vaccine itself, a charge for administering the vaccine (injecting the vaccine into your body), an additional charge for the office or clinic visit. These additional charges sometimes cost more than the vaccine. Some vaccines require a prescription, some don’t. Which vaccines require a prescription varies from state to state. For vaccines that require a prescription, you may get the prescription from your primary care physician. 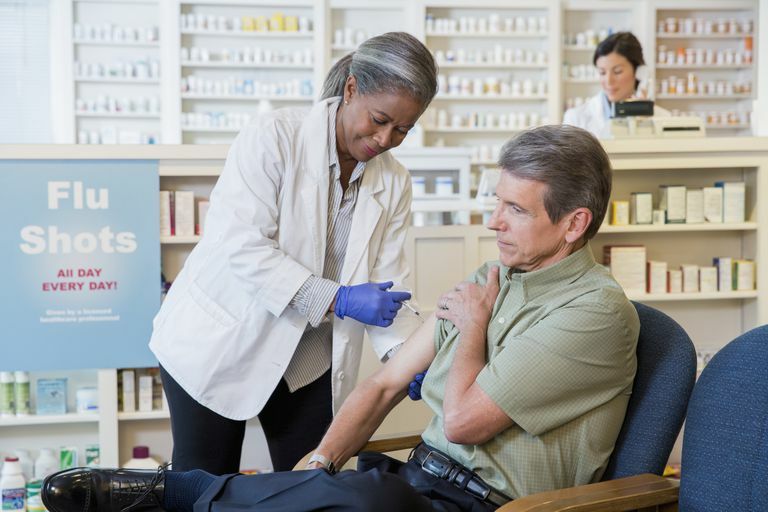 As an alternative, some vaccination centers have a provider who can write the prescription, although that service may come at an additional cost. If you don’t have a prescription for the vaccine you want, when you’re comparison shopping, ask if a prescription is required. If it is, ask whether or not that vaccination center has a provider that can write the prescription and how much that would cost. Local Public Health Department: Most public health departments, also known as county health departments or parish health units, provide adult vaccination services. Some provide them on a sliding-scale fee structure based on your ability to pay, others have a fixed price. Use this tool to locate your local public health department. Community Health Centers: Community Health Centers provide comprehensive, affordable care to people with limited access to healthcare. In many cases, this includes adult vaccines. Fees are based on your income and ability to pay. Since not all communities have one, check to see if there is a community health center near you. The pharmacist administers the vaccine. The pharmacy hosts a retail clinic staffed by a nurse practitioner or physician’s assistant who can both prescribe and administer the vaccine. These retail clinics usually function on a walk-in basis; you don’t need an appointment. The pharmacy hosts an intermittent vaccine clinic that provides one or two vaccines for a limited period of time. These vaccine clinics are usually staffed by a nurse or paramedic. This is common during flu vaccine season when you might see a table set up near the pharmacy entrance advertising flu and pneumonia vaccines. If you get your vaccine in a retail clinic, you may be charged for the clinic visit in addition to the vaccine. Be sure to ask. However, if you get your vaccine directly from the pharmacist rather than at the retail clinic, you can avoid the charge for the clinic visit. Seasonal vaccine clinics such as those staffed by nurses during flu season usually quote an all-inclusive price for both the vaccine and its administration. One chain pharmacy deserving a special mention is Costco. You don’t have to be a Costco member to use the pharmacy. Tell the person checking Costco cards at the store entrance that you’re going to the pharmacy. My personal experience is that many adult vaccines are less expensive at Costco than at other chain pharmacies. Vaccines.gov: Try this vaccine finder tool on the Vaccines.gov website. Enter your zip code and it lists nearby locations where vaccines are available. In some cases, the price for the vaccine is included beneath the vaccine center’s name and address. Dial 211: If you haven’t had any luck finding low-cost vaccines for adults using the above resources, try calling 211. This service provides referral information on health and social service resources in your local area, making referrals for everything from homeless shelters to vaccine centers. For example, if your local YMCA hosts a flu-shot clinic each autumn, the people at 211 would know. Physician’s Offices: While some physicians administer common adult vaccines to their patients unless you’re already in the physician’s office dealing with another health issue, this is unlikely to be the lowest-cost option for those without health insurance. If you choose to get a price quote from your doctor’s office, make sure to inquire about vaccine administration charges and the office visit charge in addition to the cost of the vaccine itself. Some pharmaceutical companies that make adult vaccines provide financial aid to uninsured adults who can’t afford vaccines. Eligibility for financial aid varies by company but is almost always income-based. Additionally, for some pharmaceutical companies, a doctor’s office or clinic will be needed to help you submit the financial aid application. While using a pharmaceutical company’s financial aid program, use the brand name of the vaccine rather than the generic or common name to make your web searches easier. GalaxoSmithKline: GSK Vaccines Access Program 1–877–VACC–911. Assistance is available for Boostrix (Tdap), Cervarix (HPV2), Engerix B (Hep B,) Havrix (Hep A), and Twinrix (HepA/HepB). Merck: Merck Vaccine Patient Assistance Program 1-800-293-3881. Assistance is available for Gardasil (HPV), MMR (measles, mumps, and rubella), Pneumovax 23 (pneumonia), Recombivax HB (hepatitis B), VAQTA (Hepatitis A), Varivax (varicella/chicken pox), Zostavax (Zoster/Shingles). Sanofi Pasteur: Sanofi Pasteur provides financial aid through the Partnership for Prescription Assistance. Financial aid is available for Adacel (Tdap), Decavac (Td), Menactra (meningitis), Menomune (meningitis), Imovax (Rabies) Imogam (Rabies Immune Globulin). Routine ACIP recommended vaccines must be covered without having to pay your deductible, copay, or coinsurance, but only if you get them from an in-network provider. Your health insurance doesn’t have to cover travel vaccines but might cover certain vaccines needed for travel. If you don’t have health insurance because you can’t afford it, you may be able to get help paying for health insurance. The government provides three different types of subsidies to help people with modest incomes afford to buy and use health insurance. In addition to the no-cost vaccines, this health insurance would also cover a full range of recommended preventive health care services without requiring deductibles, copays, or coinsurance.